You have been a loyal servant of mine for over 3 years now and we have been through a lot. Especially you. You have the scars to prove it. I used to change your batteries when you were little and it pains me to say goodbye to you like this, although I’m doing it after having tried everything in my power to save you. Even last night at the E.R., as you were fighting for your life, you bravely managed to play back one song, giving me that last bit of hope that our days together were not yet over. Even as your clickwheel was acting funny and you were randomly rebooting, I could feel your struggle and determination to please. I managed to bring you home from the hospital, and there, you once more called out in vain for Apple support before shutting down and going peacefully into the night. 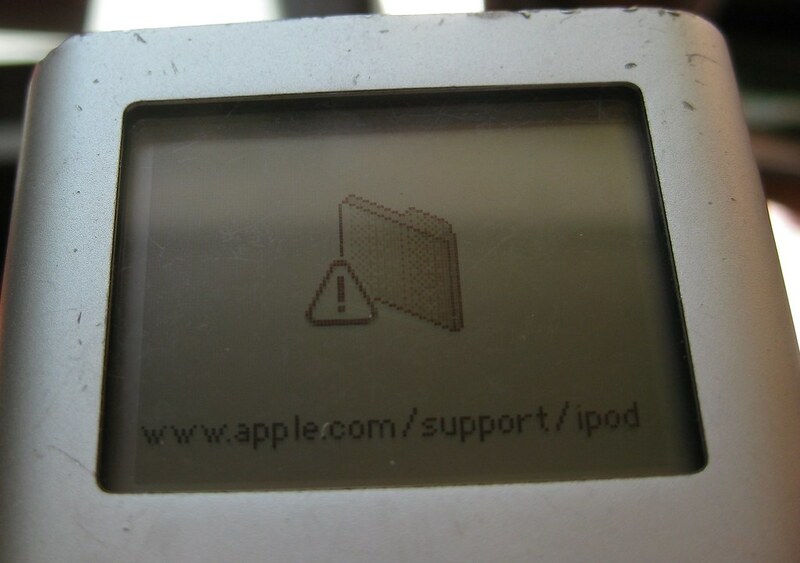 So, I have an iPod mini, that I’ve had for over 3 years now. I’m on my 3rd battery. I’ve used it heavily for the whole time I’ve had it, and I don’t think I could handle the commute to and from work without it. Recently, my headphone jack started acting weird, only playing back one channel. First I thought it must be my headphone cord that has a glitch, but after trying another set of headphones, the same problem persisted. So, I guess the talk of the town (on the internets anyway) are the (so far) two new Microsoft ads starring Bill Gates and Jerry Seinfeld. Ok, so I know this is totally lame, and that it’s another case of someone that’s had too much time on their hands. But it made my morning…… a little bit brighter. What can I say, I’m easily amused. No Nazis in sight though. I don’t mean you, of course! You’re awesome! Just those other smug idiots. Maybe this isn’t a rule exactly….. exceptions exist I’m sure. I’m just saying that I haven’t met anyone with an iPhone that’s not a douche. Yet, anyway. Please, someone, prove me wrong. Maybe it’s just me being jealous. Maybe I just want one myself. Maybe this video says it all…….